While the notion isn’t entirely uncommon, it at times still comes as a surprise when an aircraft manufacturer delves into the fractional ownership business. The concept itself can go both ways—on the one hand, as a manufacturer you’re always on the lookout for things that can help add to the convenience of both your passengers and crew, which already can provide you insights into what potential owners want. On the other hand, without the needed service-oriented acumen required in an ownership business, one’s foray into this field might come with disastrous results. Fortunately, when it’s good, it’s good, and no company encapsulates that notion as much as Flexjet®. Starting out as a division under industry giant Bombardier, the company had a head start providing, managing, and maintaining fleets of aircraft made by Bombardier itself—a dream for anyone wishing to own their own private jet by the company. Eventually, however, Flexjet slowly moved away from a reputation dependent on the manufacturer and became a strong contender in the field in its own right. The Challenger 300 for those who need a super-midsize. But this isn’t a choice made randomly. As it turns out, the reason behind this is that Flexjet’s jet card services are meant to be a supplement for the company’s fractional ownership customers. If, for instance, a client needs to fly out more people beyond the confines of their fractional agreement, they can provide them with a jet card instead of getting another lengthy fraction. And like most jet cards, Flexjet’s services also come in 25-hour increments, which is perfect for those infrequent flights. The quotations above also include FET, fortunately, but on the flip side, it does not include any discount rates often offered by other programs. Both programs also include $300 million worth of insurance for any unsightly happenings during your trip. Take note, however, that on peak and premium days you might also incur surcharges outside the standard payment, with 10% for the Phenom and 40% for the challenger. At a glance, Flexjet’s jet card program might not be for everyone with its limitations in both fleet and premium days. But despite its shortcomings, it is a program that knows what it is and continues to pull through to service its target clientele. That said, if you’re thinking of purchasing a Flexjet jet card, it’s your best bet if you’re a fan of Flexjet’s services, an infrequent flyer who needs the flexibility, and don’t need to fly in large groups of people. 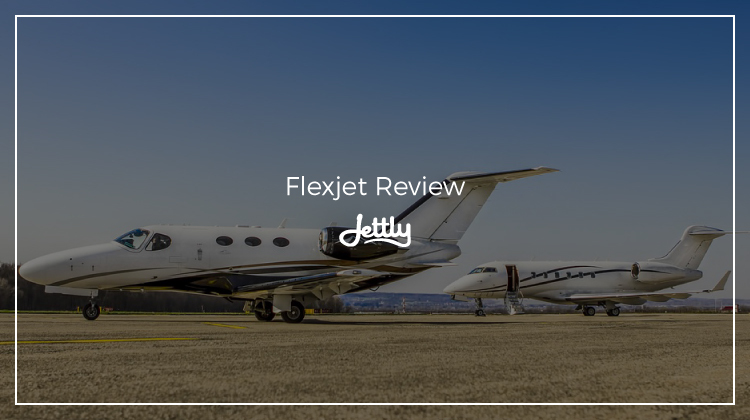 Disclaimer: Jettly is in no way affiliated with Flexjet. Flexjet is a registered trademark of FlexJet and Bombardier.